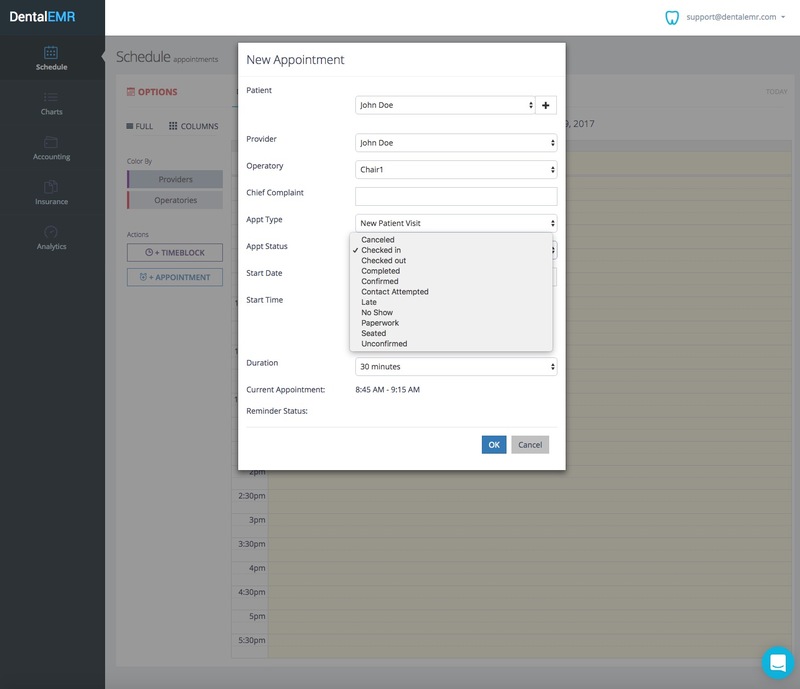 Today we released a new feature which enables you to designate and track the patient’s appointment status for your endodontic dental practice. Your dental office team can now be aligned in tracking where your dental patient are for before and after their appointment, in real-time. Don’t forget that our system also sends out email reminders to the patients for their endodontic appointments so that when they confirm, “Dental EMR” will automatically show you they’ve confirmed their appointment: saves your office time in calling them and helps minimize no-shows which means more revenue for your endodontic dental practice.